Gill is an expert in pilates, mindfulness and rehabilitation. 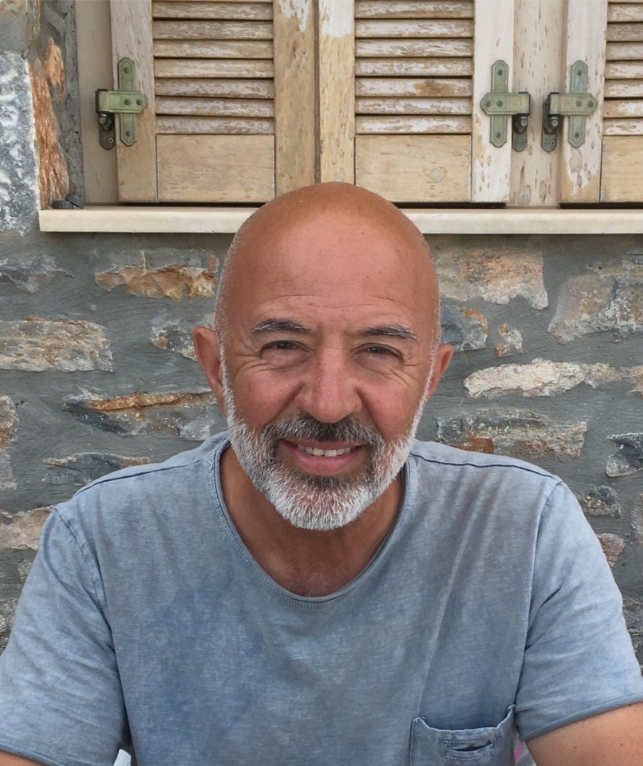 Andreas was born & raised in Athens and has so much passion and knowledge about Crete and its culture. Together, they have created the perfect mix of pilates and culture to give you a blissful retreat in one of the world’s most beautiful places. I have been running my own retreats now for 6 years and the highlight for me is watching the transformation people make in just one week – Inspirational. I am also the owner of Pilates North East. At a very young age, I started teaching and immediately knew that I had found my vocation. Over the years I have taught gymnastics, acrobatics and general fitness. I also ran my own studio in Crete for 10 years. On my return to England, I attained a teaching qualification and started to lecture for Gateshead College. In April 2002 I was appointed Team Leader of Health and Fitness in the Community, managing a team of seven teachers. I qualified with Michael King, respected worldwide as a leading Pilates trainer, as well as in the Stott Pilates method. In our studio we specialise in rehabilitation, postural analysis, spinal health and individual programs. Whether you are a total beginner or an athlete, this work has profound results and is carried out either on the mat or using specialised equipment. I am always seeking to improve my knowledge and regularly attend seminars and workshops. Recently, I have studied with Fusion Pilates (New York) – Neuropilates (Parkinsons & MS) and the wonderful world of Fascia (connective tissue) with Tom Myers. For the past 12 years, I have been invited to teach workshops at Yoga Plus in Crete, where the teacher Radha appreciates how well Pilates complements the Ashtanga Yoga. Meeting the needs of the individual is very important to me and quality is always in the forefront of my mind. I am passionate about my subject and it will be a pleasure to share it with you at my second home.…… Crete. I was born and raised in Athens, Greece. During our three months school holidays each year, I took the magical trip to Crete to stay with my grandparents. I became a part of this magnificent island, its proud people and it’s long and rich history. To this day, I still remember the excitement and anticipation seeing the high mountains changing colours with the sunrise as the boat was approaching the island. After my studies in hotel management, I returned to live in Crete permanently to build my hospitality business. This is where we started our family with my English wife and our two children. We enjoyed work and play, sea and mountains, villages with warm hospitable people, fantastic food, nice friends and family. In 1997, we moved to England where a new life started. As well as working in my business, I became a student again, fulfilling an old dream of becoming an alternative therapies practitioner. I studied and qualified in many different techniques including Bowen Technique, NST/ Bowen, CranioSacral Therapy, Apply Kinesiology Reflexology and various Therapeutic Massage Techniques. I’m also qualified as NLP, Life Coach practitioner and First Aider. My passion and longing for Crete never ended, and I am now in a position to share my experience with you. Let’s walk together in well known paths, be a part of the local life, eat the best and freshest food Crete has to offer, see and talk about its long history and feel how the heart of this unique island beats. This is an authentic and intimate experience for curious travellers and I can’t wait to share it all with you. I look forward to meeting you. *Please note: Andreas Souris is not a tour operator, he acts as an “on trip concierge”. He will not be held responsible for breach of contract, failure to comply with any state laws, or for any added costs of travel or meals that are not included within the package that has been purchased. Traveller’s baggage and personal property are completely at the traveller’s own risk. He wishes to bring your attention to the terms, conditions and cancellation section and asks that you ensure that you fully understand it prior to booking.